With the nation on edge in the immediate aftermath of horrific events in Baton Rouge, Minneapolis and Dallas, Disney Media Networks will host a landmark town hall discussion with President Barack Obama and Americans who have been directly affected by recent events. “World News Tonight” Anchor David Muir will moderate a frank and intimate conversation about race relations, justice, policing and equality, produced by ABC News. It will include many of the people whose lives have been changed forever in the last week as the nation sees these issues play out through their eyes. “The President and The People: A National Conversation,” airs Thursday, July 14 (8:00 – 9:00 pm ET/PT), simulcast commercial-free on ABC, ESPN, FREEFORM, ABC News Digital, FREEFORM Digital, WATCH ABC, WatchESPN, Yahoo, ABC News’ Facebook page and YouTube channel and ABC Radio. ESPN2 will televise live World of X Games: KRob Flips Providence, the Guinness World Record attempt for the longest ramp-to-ramp, no-handed backflip on a BMX bike on Saturday, Aug. 13 at 11:30 p.m. ET. The backflip – from Kennedy Plaza in Providence, R.I. – will also be part of the World of X Games series on Sunday, Aug. 14 at 4 p.m. ET/ 3 p.m. PT on ABC. On Friday, the Golden State Warriors’ 89-83 victory over the Cleveland Cavaliers on ABC, a rematch of the most-watched NBA Finals in ABC history, was up 22 percent from last year by scoring a 6.7 overnight rating, according to Nielsen. (The 6.7 is up from a 5.5 for Cavaliers-Heat on Christmas Day 2014). Yesterday’s Warriors-Cavaliers telecast is the highest-rated NBA Christmas Day game since 2010 (Lakers-Heat, 7.1) and the third-best NBA regular season overnight rating since 1999. The five-game Christmas Day slate across ABC and ESPN was up nine percent compared to 2014 (ABC, ESPN combined for three games last year). The NBA doubleheader on ABC averaged a 5.5 overnight rating, which is up 15 percent compared to 2014 (4.8). The 5.5 doubleheader average is the highest-rated ABC doubleheader on Christmas Day since 2012. Chicago Bulls at Oklahoma City Thunder, 2:30 p.m.
3 million total minutes streamed on WatchESPN. Cleveland Cavaliers at Golden State Warriors, 5 p.m.
11 million total minutes streamed on WatchESPN. The NBA on ESPN prime-time doubleheader averaged a 2.3 overnight rating, matching 2013 as the highest-rated Christmas Day prime-time doubleheader ever on ESPN. Additionally, ESPN’s Christmas Day tripleheader, which also averaged a 2.3 overnight rating, matched 2013 as the highest-rated Christmas Day tripleheader ever on ESPN. New Orleans Pelicans at Miami Heat, 12 p.m.
8 million total minutes streamed on WatchESPN. San Antonio Spurs at Houston Rockets, 8 p.m.
Los Angeles Clippers at Los Angeles Lakers, 10:30 p.m.
2 million total minutes streamed on WatchESPN. Golden State-Cleveland generated 11 million total minutes streamed, the most ever for a Christmas Day game and more than every Christmas game on ABC and ESPN combined in 2014. NBA Countdown on ABC generated a 1.6 overnight rating. Media contact: Ben Cafardo at 860-766-3496 or ben.cafardo@espn.com, (@Ben_ESPN). As part of the World of X Games on ABC, X Games introduces Real Moto – the latest addition to the Real Series, an online video competition. All five Real Moto video parts will debut today on XGames.com/RealMoto where fans will be allowed to vote for their favorite video. X Games medal winners will be chosen by the Real Moto riders and their filmer/editors and announced during the World of X Games show on Saturday, August 22 at 2 p.m. ET/11 a.m. PT on ABC. This marks the third Real Series competition out of five this year. Next weekend’s Real Moto show will feature five of the top freestyle motocross professionals in the world and their individual video parts, behind-the-scenes, athlete interviews and conclude in the selection of the winner for the event. Athletes were given the opportunity to team up with an editor and produce a 90-second video part to showcase their unique riding styles in their own vision. Grantland Basketball Hour will air six one-hour episodes during the NBA playoffs beginning this Thursday, April 16 at 7 p.m. ET on ESPN. In addition, hosts Bill Simmons and Jalen Rose will also present two later shows which will focus on the NBA Draft and free agency period. Segments of the show will also be featured on Grantland.com, B.S. Report podcasts and incorporated into various ESPN platforms, including SportsCenter. *Schedule and times are subject to change. Please check your local listings. Grantland Basketball Hour, produced from ESPN’s Los Angeles Production Center as one of the first television extensions of ESPN’s Exit 31 initiative, aired several one-hour, prime-time episodes throughout the NBA regular season on ESPN. In addition, re-airs were seen regularly on ESPN2 and at times on ABC. ABC and ESPN NBA Countdown analysts Jalen Rose and Doug Collins discussed the start of the 2014-15 NBA season on a media conference call. ESPN’s NBA season tips off Wednesday, Oct. 29, beginning with an hour-long NBA Countdown at 7 p.m. ET with Rose, Collins and host Sage Steele. The program will feature a live performance by International recording artist Aloe Blacc. Following Countdown, the Chicago Bulls and the returning Derrick Rose will visit the New York Knicks and Carmelo Anthony at 8 p.m. while the Portland Trail Blazers and Damian Lillard will host the Oklahoma City Thunder and Russell Westbrook at 10:30 p.m.
Q. With a couple of the top title contenders this year coming in San Antonio, Cleveland and Oklahoma City, while some of the big markets rebuild, I was wondering if you think that it’s a good thing for the league that a lot of the top teams and most marketable stars are in smaller markets rather than bigger markets now? JALEN ROSE: Well, a couple of things. The game has graduated with social media, international and world presence, television sponsors – to where you can get the game and get the experience on so many different avenues. You know how people today basically watch television on their phone as they’re moving around. So playing for a storied franchise – the Los Angeles Lakers, Boston Celtics, New York Knicks, Philadelphia 76ers, Brooklyn Nets – it’s not necessary per se to continue to make big time endorsement dollars, to continue to be the face of a franchise that’s successful, to be in one of those markets. So if you’re a really good player like a Kevin Durant who gets drafted by Oklahoma City, you can become the MVP of the league and get exorbitant dollars from a shoe company, and at that point it’s all about winning. It doesn’t work out for everybody like it worked out for Kobe Bryant getting five championships and spending his entire career in LA or even a Carmelo Anthony who just got a max deal. If you’re in a good situation now, instead of chasing a large market like Kevin Love could have, he chose to chase the championship rings to Cleveland, something LeBron James couldn’t get people to do a handful of years ago. Q. I’m going to go parochial here with the Heat. What do you expect from them this year? ROSE: I’ve got to see how many games Dwyane Wade is going to play, just like everyone else. He has a few different phases to his career and that’s what happens when you become a veteran. You reinvent yourself on and off the floor. He’s been really mature and handled himself like a leader and a champion off the floor, but on the floor early in the career, it was drive to the basket, contest and/or block shots, one or two spectacular dunks a game, Finals MVP champion. Then there was what I consider, I guess, The Flash versus Flashes stage where you’ve got LeBron. First year he plays 76 games. This past year he missed 28 games. Four Finals, two championships. Now can he be that guy again that the team can rely on to play over 65 games? I don’t know health wise if he’s going to be able to hold up, and because of that, that’s what’s going to make it a tough season for the Miami Heat, especially based on the recent success they’ve had. Q. I know the city of Boston has changed dramatically since you were in the league and you came out in ’94. What would be your impressions for the city as a free agent destination? They’re going to have cap space next summer, and obviously Doc is not here to sell the team, nor is Garnett or Pierce or Allen. It’s going to have to be maybe Rondo or if not, a bunch of young guys. How do you see Boston as a free agent destination? ROSE: Now if you’re a city like Boston where you haven’t been able to land terrific superstar level free agents other than your big three scenario with KG, Paul Pierce and Ray Allen. It was literally a perfect storm with Doc Rivers standing on the sideline, a young Rajon Rondo, who developed into a high-level point guard. That was more of the exception than the rule. I know that they flirted somewhat with Kevin Love and didn’t get too far on trying to attract him as a free agent. I think when you’re one of those destinations like Boston, you have to draft real well and hope that one of the guys that you’re taking with all the picks you’ve been stockpiling for the last few years either becomes a player that’s already under contract from another team that really has no choice but to come and play there, even if he wouldn’t sign as a free agent, or hope that one of those players turns into a multi-time All-Star that can play alongside Rajon Rondo. Since that has not happened, you kind of have the picks, you kind of have the money. You’ve still got Rondo, but you’re not contending in any way, shape or form, and you have the cap space next year. I think it’s going to be crucial to see what happens with Rondo. They have to turn him into a player and/or a few players that are going to be multi All Stars, and then once you’re able to do that and you’re a winner again, people always want to try to play for a winner. Q. How much does the city itself, obviously with Miami and LA it does, but in terms of just the money you get versus the city you’re playing in, can Milwaukee or Sacramento attract free agents if they have the right amount of money? ROSE: Yeah, absolutely. I joke all of the time, keep getting them checks. You’ve got enough money, you’ll get some players. Now, the thing is, is it going to be the New York Knicks? You sign Amar’e Stoudemire, it doesn’t turn out, all of a sudden you bring in Andrea Bargnani, you’re paying him over $10 million to go with Melo and Tyson Chandler. All of a sudden you’ve got the highest-paid front court in the NBA’s history, yet you’re not a playoff team. So you want to be responsible with how you spend the money, but the second part of the league as the finances start to change and everybody knows the new TV deal is going to be in play, there are players who have role-player statistics now looking for max dollars. So when you see what they ended up having to pay for Avery Bradley, who I really like his game, he’s tough defensively. He’s learned to make an open shot, and he is somebody you can have in the game the last two minutes. If you take his salary base, if you’re going to be a great team, he’s probably going to be your fourth or fifth highest-paid player. So who are those other guys? That becomes the dilemma. Q. My question specifically is about the Philadelphia 76ers and what you feel about Sam Hinkie’s approach toward turning this team from a loser to supposedly building it into a winner, and he seems to think it’s maybe the only way you can do it in the NBA. Do you agree? ROSE: There are a lot of different ways to do it, so just because you get the No. 1 pick, that guy has only went on to win a championship with that team – if it was Hakeem Olajuwon and Tim Duncan, those are the only No. 1 picks that have gone on to win titles with the team that drafted them. It’s not an exact science that tanking is going to get you a great player or a franchise championship player, or it’s going to turn around your forces. You still need Nerlens Noel to become that shot blocker he was at Kentucky and play hopefully reminiscent of how Jermaine O’Neal played. He kind of reminded me of him; Jermaine has a softer touch. You hope he grows into that kind of player. You hope Embiid becomes a guy that was worthy to be the No. 1 pick. He was a game changer defensively in college and all of a sudden you’ve got two rim protectors to go with Michael Carter-Williams, who was the Rookie of the Year. But now, what price do you pay as fans? How long are you willing to wait? Because Philadelphia does have knowledgeable fans but also ticket prices are so exorbitant in today’s landscape. If you support your team, are you going to spend your money to support your team, which makes it bad for the rest of the league because what happens when other teams that are moderate come to town, a .500 team comes on a Wednesday night? You have guys taking pictures like he did last year, a guy I think bought basically a whole roll of tickets for $75. So that becomes bad for the entire league. Hopefully if that is the plan, which they’re definitely engrained to have that as being the plan, this is the last year for that for everybody involved. And one other thing that affects that is it’s a league issue. It’s when you decide that you can pay rookies 500K or first year contract or people in their first contract $500,000 but a 10-year veteran is around $1.5 million. It waters down the roster to where not only do you have a team that’s struggling, but you have a team of young guys that aren’t experienced that are struggling. So they don’t understand how to be professionals and bring it every night, compete every possession, still work hard in practice, know what to say to the media, still be involved in the community. Those are learned behaviors because of the reasons of trying to save money that teams hurt their roster from just having a competitive team on a nightly basis. Q. I’ve got a couple Bulls questions. How much of an upgrade do you think Pau Gasol will be over Carlos Boozer, and how would you compare Joakim Noah’s game? ROSE: I think the Chicago Bulls on paper right now, you’d have to argue the players that they’re going to have playing minutes at the four and five position, and I’m including McDermott because of his size, I’m including Mirotic because of his size even though they’re rookies, and I think the team drafted well to add those two guys. But when you have Pau – who averaged 17 points last year, still is a factor around the basket and is a really good passer high low and he’s an unselfish player and he’s a cerebral player to go with an all-NBA performer in Noah, who was the Defensive Player of the Year, and then add Taj Gibson, who they still have, who can finish over the top, who’s tough to the point where they allow Carlos Boozer to be expendable because he’s so good defensively in the fourth quarter. That’s as formidable as it gets, and that’s what I’m looking at when you compare them to the Cleveland Cavaliers. You know what you’re going to get from Kevin Love. You can book his 20 plus and 10 plus. Tristan Thompson, he was close to a double-double last year. Is he going to be consistent? Can he stay out of foul trouble? How many games are you going to get from Varejao? I’m not really a big believer in Haywood at this point of his career playing quality playoff minutes. If I had to go interior and give a team the edge, it would be the Bulls, and that’s why at this point of the season, if I had to pick who I felt like was going to come out of the East, it would be Chicago for those reasons. Q. So I take it you have really high expectations for Derrick Rose this year then? ROSE: Yes, I like a guy that can get 30 points in 24 minutes against the Cleveland Cavaliers. Coach Collins broke down a play on our Countdown show where it was 0-0 and Derrick Rose got a long outlet, dribbled up the left side, went over a high pick and roll, drove right to the basket and laid it up. So what that showed me is that that’s another thing that’s going to make that rivalry great. Kyrie can boogie with the ball. I joked that he’s like, I guess, Turbo and Breakin’ outside of the store dancing with a broom. He can really make it happen, but he has to learn as well as Love and even Waiters to compete defensively. Chicago has a toughness about them. They have a defensive identity, and they have the coach in the league with the highest win percentage that has never won a championship in Tom Thibodeau. They have those pieces in place, and I think they could be ready to take that leap. Q. What do you think about Chris Bosh as a No. 1 option offensively at this point? ROSE: When you look down at the stat sheet, I think he’s still going to be 18 points, shoot a high percentage, cause matchup problems for the opposing four. He’s shown that he can be an All Star level player, whether in Toronto, and/or a champion in Miami, who’s clutch. He makes big shots at the end of the games. But the difference is the wear and tear that’s going to happen with him now having to play closer to the basket, doing more post ups, and grabbing more rebounds. That’s the biggest decrease that I’ve seen in his game is that as he’s shot more threes and basically it was because of their system that was successful for that team, that took him away from the paint, and he got less rebounds. So he’s going to be in there trying to get more rebounds and be more of a physical presence, and it’s going to be good. I think he’s going to be able to live up to the fact that they need him to score buckets, but they’re going to need a lot more points from that roster than he’s going to be able to deliver, I think. Q. Two quick questions: One quick one with regards to the Wizards and your thoughts about the entire Southeast Division, and secondly, your thoughts about the Cavaliers’ first year coach, David Blatt? ROSE: I’ll go Coach David Blatt first because it was last and it was fresh. Having LeBron James, Kevin Love and also Kyrie Irving with the fact that he is a really successful championship international coach that’s been really creative with his teams, and his players have really enjoyed playing for him, playing in his system – the way that he wants them to move the basketball and not really play a lot of isolation – for that I think they’re going to be one of the most efficient teams that we’ve seen in the league. If I had to pick two players to play with LeBron just from an offensive standpoint, it would be Kyrie Irving and it would be Kevin Love. When is the last time that guy has played on a team where one guy is going to get the rebound, somebody else is going to get the outlet, and he can actually be on a 2-on-1 break trying to dunk on someone? I’m excited to see that. ROSE: I joked that the best point guard that he’s probably played against his high school was Rich Paul. And the second question? Q. The Washington Wizards and your assessment of the entire Southeast Division. ROSE: The Washington Wizards, I really enjoyed seeing the emergence of John Wall, becoming an All Star caliber player. It’s hard sometimes as a point guard where that’s the toughest position on a nightly basis in the league to come into your own, and he ended up staying healthy last year and became an All Star level player. Couple him with Bradley Beal, I really like them as a young, talented backcourt. I affectionately call them Hustle and Flow. You bring in a Paul Pierce. The last two or three minutes of a game, Paul Pierce has shown that he’s a guy that you want the basketball in his hands because he can make plays with the best of them. You’re really going to lose Trevor Ariza’s athleticism, his defense, his ability to switch multiple positions, and he has quick hands, so I think they’re going to miss that. Can Nene stay healthy? When you look at him, whether it was in Denver, every time I see him, I was like, wow, if that guy could stay healthy, he could be an All-Star caliber player, and then he just had health issue after health issue. You saw what he can bring if he’s healthy come playoff time, what he did in this past playoffs, and Gortat, who they just signed to new deal, that’s a real formidable four/five. They basically remade their bench and those guys have got to prove their worth. As far as the entire division? Q. Do you feel it to be kind of an up for grabs situation, that there’s Washington, there’s Miami, there’s Carolina, literally any number of teams that could really jump in there and take it? ROSE: Absolutely, but I want to grade Miami on a curve for a second. They’re getting graded on having Pat Riley, Dwyane Wade, Chris Bosh, and going to four straight Finals, okay. The other teams in this division still have a lot of work to do, and they did add Luol Deng, and I don’t think that they’re going to be an Eastern Conference finalist, but don’t be surprised if the Heat are a playoff team. Atlanta, I love Al Horford. He’s going to back in the lineup. You put him back with Millsap, they’re a team no one really talks much about. They can also be in the playoffs again. Lance Stephenson is now with Charlotte. Put him with Al Jefferson, Kemba Walker, they’re quietly putting their team together, who’s going to make three point shots for that squad. And Orlando, they’re dealing with Oladipo’s injury, and I really like Vucevic and Tobias Harris. It is a division that’s up for grabs, but don’t be surprised when the smoke clears if the Heat is not a lot closer to the top than people really realize on paper. Q. A couple more Cavs questions: Starting with LeBron’s thing that the offense that they’re running is unlike anything he’s done in his 11 years in the league, and in watching the preseason games, have you picked up on any of that that you could explain to us as to what they’re doing that’s so different than the rest of the league is doing? ROSE: LeBron gets to play as a small forward. In Miami he was a point power forward. Early in his Cleveland days he was basically like a point forward because he wasn’t playing post-up basketball much at that point in his career. His whole dynamic of how he’s seeing the game has changed because his positions have literally switched. When you have a legitimate All Star point guard in Kyrie, you don’t have to come and get every outlet pass because you know, A, that’s his job; B, you want him to make the second pass sometimes. And then all of a sudden, Kyrie, while he may get the hockey assist, LeBron is in a position in transition to make a play for himself or for others. In the half court, it’s basically throwback NBA basketball. Some teams still play power basketball like the Memphis Grizzlies where they go and throw it to the elbow and drop it to the box and see if they can take advantage of a mismatch or set a small screen for the big weak side like Stockton used to do Malone, then all of a sudden we can get some action that way. How they’re trying to do it, it’s just have five-man basketball. Pass, cut, moving like your hair is on fire, no standing around, the basketball finds the energy, the energy finds the hot man, and you hope to get a good shot and have a situation where people never feel like they have to force their offensive flow. Q. And then to follow up, you were on a Phoenix team with some big time personalities and stardom between Nash and Stoudemire and Marion. When you have a group like this Cavs group where you have Love and Kyrie and LeBron, how much is that on the responsibility of the players to fit together, and how much does David Blatt shoulder that to make sure everyone is on the same page? ROSE: Well, the ultimate responsibility is going to fall to LeBron because I think those pieces are in place even though they hired the coach before. He officially decided to come back to Cleveland. When you have a four time MVP on your roster it’s going to start and end with him. He’s the marionette that learned from the puppeteer Pat Riley and Dwyane Wade how to be a champion, how to lead the team, how to recruit players to come play in Cleveland. He even poached a couple of the Heat players off their roster, formerly Mike Miller and then James Jones. So when you’re now in Cleveland, his whole goal is to show a young Kyrie Irving, a young Dion Waiters how to be a pro, how to work, how to compete, and Kevin Love how to transform those numbers that he was getting into wins and losses, into more wins. I think that dynamic is really ironed out, and there won’t be any gray area at all. Q. LeBron James basically transformed the Miami Heat franchise, obviously the players, the roster, everything from the organization, top down. What’s the toughest thing for the Heat, the players on the roster and the organization as a whole going forward while that shadow of LeBron’s departure hovers over the franchise? DOUG COLLINS: Well, the thing about it is you know with Miami, the blueprint is in place. You know, Pat Riley has been there, Erik Spoelstra has been there 20 years. They call it the Miami way. This is the way we do things. The big thing for Erik now is he’s got to find the best way for this particular team without LeBron to win basketball games. It’s going to be a different offense. It’s going to be a different defense, and you’ve got a lot of different dynamics. Last year, so often LeBron was the point guard, so now you’re asking Mario Chalmers and Norris Cole to assume those duties of being the point guard and running whatever kind of offense that Erik feels they need to run to be able to be successful. Chris Bosh has gone from being the third guy, a spacer shooting the ball and not being in the post much, shooting threes, to now being the No. 1 option, being in the paint more, scoring on the block, going back to a lot of the ways that he played in Toronto. The big question to me is going to be Dwyane Wade. Last year he missed 28 games and the blueprint looked like it was working until into The Finals, where it looked like he didn’t have a lot left at that particular time. How are they going to manage him this year? What role is he going to play? We know that when he’s healthy, he’s still a dynamic player. You’re adding Josh McRoberts, when he’s healthy, to be a starting power forward. Chris Bosh is a center. Who’s their bench going to be? The Miami way is in place. It’s now going to be what do we have to do in the absence of the best player in the NBA to find a way to win on both ends of the floor. How can we maximize our bench? How can we maximize our starters? But to me at the end of the day it’s how effective are Dwyane Wade and Chris Bosh going to be, and everybody has got to play off them. I didn’t mention Luol Deng. I think it was an excellent acquisition in that deal. We know what kind of player Luol is, but it’s going to be a totally different team, and how long it takes them to come together is going to be very interesting. Q. And then for Jalen, as a player coming out of this, what’s your perspective? How do you deal with this? Just everything in general from the lack of media circus to maybe lower expectations now? ROSE: This is where your pride and professionalism kicks in, in particular for Chris Bosh and Dwyane Wade. They want to prove like, wow, LeBron was a leader and the MVP, that they weren’t just living off his fumes. That’s what’s going to drive them. I can be a first option if I’m Chris Bosh. I can put up the numbers that people feel like I wasn’t able to put up because I was sharing the basketball and sacrificing myself for championships. And for Dwyane Wade, already one of the top two guards that the league has seen, can he go back to being a guy that was blocking shots, getting steals, being active, playing multiple games a year? It’s hard just to imagine on paper to have a maintenance plan with LeBron James that called for him to miss 28 games, and unfortunately he got fatigued come Finals. I can’t imagine how that could go stronger this year without LeBron James on the roster. Q. With the Lakers not being able to land like a big time free agent in the off season, a lot has been made about the fall of the Lakers and that franchise, and a lot of the blame seems to be going towards Kobe Bryant. How much blame for the struggles of the franchise do you believe should be pointed towards Kobe? COLLINS: I’m not going to put any blame on Kobe Bryant. That guy has played for almost 20 years now. He’s played over 50,000 career minutes. When he’s healthy, he’s been the best player at his position throughout his time in the NBA. He’s been all defense. You have to understand, success is cyclical in this league. How did the Celtics do after they lost Bird, McHale and Parrish? How did the Lakers do after they lost Magic and Kareem and Worthy and that group of guys? How did the Bulls do after they lost Michael, Scottie and Phil and that group of guys? And sometimes we don’t understand, the league has changed a lot, where super teams are put together to last for a while with each other. Look at the Boston Celtics right now. They had the run with Doc and Kevin Garnett and Paul Pierce and Ray Allen. Look where they are. It’s a cyclical part of the NBA, and what’s changed, and maybe Jalen can talk about this, is if you look at it, when is the last time the Boston Celtics signed a big-time free agent? When is the last time that the Philadelphia 76ers have signed big-time free agent? When is the last time the New York Knicks have signed a big-time free agent? The days of those teams automatically signing those guys isn’t happening. Guys are going and playing other places. They understand that you don’t have to play in the biggest markets to have success as well as get endorsements and all. Look at Kevin Durant in Oklahoma City; look at the team down in San Antonio. To put that on Kobe, I’m not buying it. The guy is one of the all-time great competitors. I think he’s an easy target right now because Kobe is not a warm and fuzzy guy, and he’ll step up to the plate and compete every night, but I just think that’s wrong to put all this on his plate. ROSE: And I’ll second what Doug said because great teams in today’s era, the elite teams have three guys playing at All-Star levels; the contending teams have two; playoff caliber teams, especially in the East, can have one. Kobe was great when he had Shaq. He was a champion when he had Gasol. I look back at one decision that changed the Lakers’ fortune that probably is going to put Kobe in a position not to get a sixth ring. It was the decision to hire Mike D’Antoni over Phil Jackson. Now, for a guy that’s won five championships with your franchise, and we know about the personal relationship he has with Jeanie Buss, but just professionally, when they decided to go to Mike D’Antoni, well, who else was in tow with Mike D’Antoni? Steve Nash. Well, Steve Nash we all know is already out for the season and Mike D’Antoni has been fired. Those were the two catalyst decisions to me that put Kobe in a position to now say, of course I’m going to ask for maximum dollars. I see the team that’s probably a shell of itself taking me into my twilight, so of course, who am I going to leave money on the table for? So he looks at a young team and he looks at a situation that’s in flux, and he says, I’m going to be a pro, I’m going to get healthy, I’m going to show the world I can come back and average 25 points. But when he does that, he’s coming back to a Western Conference that 32 wins won’t get you in the playoffs, and I think that’s what they’re looking at. Q. Feeding off that, comment on the notion that free agents don’t want to go play with Kobe. COLLINS: When you’re a great player in this league, I mean, LeBron James had two choices: LeBron was either going to stay in Miami or he was going to go home. He wasn’t going to go to his third city. At the end of the day, Carmelo was not going to leave New York City and what that brings to him. I think that’s really unfair to say guys don’t want to go play with Kobe. I think there’s a lot of chatter and all that kind of stuff or whatever, but I don’t buy that at all. I’m sorry, but I don’t buy that. ROSE: It relates to one All Star caliber player who’s listed around a top 10, top 15 player, and that’s about Dwight Howard, and since they didn’t click initially and Dwight didn’t stay, that was the other domino that I talked about with the other scenarios. Then all of a sudden you lose an All-Star guy to Houston and you don’t get anything in return. Q. Clearly the biggest storyline of the offseason was LeBron returning home to Cleveland. What storylines are you most intrigued by as we’re getting ready to open up the season? COLLINS: For me, obviously to watch this Cleveland team as they grow through this period of time. Some of these guys are going to be under the greatest scrutiny they’ve ever been under as players. You’ve already seen it. Kevin Love makes a little statement I need more touches to get going, and basically LeBron gets the guys together and says, guys, understand that every word we say is going to be parsed. Don’t you find it interesting that every press conference that they had in Miami, he and Dwyane Wade did them together? We’re going to make sure that we’re on the same page every single day, so it can’t be divide and conquer. This guy said this, this guy said that. To watch them, David Blatt is a terrific coach. I think his biggest challenge is going to be handling the media and all that goes with this team as it continues to grow. I think it’s going to be interesting with the Chicago Bulls. They’ve got new pieces. Jalen and I differ on this a little bit. I think they have the right pieces, but I think that’s going to take a while longer. Derrick Rose coming back, they’re still not solidified yet with that starting situation. I’m of the belief that McDermott would be a better starter and Dunleavy coming off the bench would solidify that second unit, but I think Tibs is concerned about having the best possible team he can have out there to start the season so they don’t get off to a slow start. How do you incorporate Pau Gasol into the low post? They played through Joakim Noah last year. Now he’s playing as a power forward. He’s not catching the ball as much. He’s not much of a playmaker because you have Rose and you have Pau Gasol. Jimmy Butler has already got an injury. So there’s a lot of stuff going on there that we know they’re going to be great defensively. Can they get good enough offensively to be a team that can win a championship? And then to me the West Coast, I mean, it’s unfortunate the injury to Kevin Durant, but you’ve got eight teams that made the playoffs last year. If any team is going to be able to break through, can the Pelicans break through? They’ve got six really good players. Do they have enough depth? Can they stay healthy? Phoenix Suns had a feel-good season last year. Can they build on that? So to me there are 10 teams in the West for eight spots. How far is Oklahoma City going to drop with the injury to Durant? I think as much as the Clippers had a great year last year, I think they still have some questions. Jalen and I both talk about I’m concerned about their size on the wings and on the perimeter. When it comes to playing teams, they really struggled against Oklahoma City last year, size on the perimeter. That three-spot right now is by committee. J.J. Redick has got to stay healthy. There’s a lot of things going on out there. To me, so many storylines in the West, but the East, last year we were talking about two teams. Start of the year we said Indiana and Miami are going to be there in the Conference Finals, and they were. This year in the East, we’re talking about two teams: Cleveland and Chicago and everybody else, so it’ll be interesting to watch for me. ROSE: And I’ll give you a couple of quick nuggets because Coach killed it. The return of Derrick Rose. If he can play at an all NBA level, I feel like they should win the Eastern Conference. LeBron’s return to Cleveland, I mean, just the maturation to forgive the letter written by Dan Gilbert, but also that means an acknowledgment of his transgressions that he felt like he could have done things a lot different with the organization and with the fans, then to turn around and be able to recruit Kevin Love, Shawn Marion, Mike Miller, James Jones and possibly Ray Allen. Stay tuned for that one. On the West, working the NBA Finals and being at those games, just appreciating the Spurs fans, I just have a soundtrack in my head that just literally says, Go Spurs Go! I think I’m so wound up that I might just blurt it out every now and then because that’s how dominant they were and how impressed I am with the way they do things. Their offseason included re-signing Pop, re-signing Tony, re-signing Tim, Patty Mills, Boris Diaw and Matt Bonner, and they’re hoping to obviously get an extension going with Kawhi Leonard. They’re back in tow, along with what Coach said, the Clippers. Is it their turn? CP3, Blake Griffin, all-NBA performers. DeAndre Jordan is going to be in position to lead the league in field goal percentage and blocks and rebounds, probably the first guy to be able to do that in NBA history. So I’m trying to see if it’s going to be the Clippers’ turn because I think they have what it takes to push the San Antonio Spurs. COLLINS: Just to build on what Jalen said, too, to me there’s some really intriguing teams in the West. Golden State, can they cut down on their turnovers? Steve is really working on having a more free flowing offense. Can they keep their defensive integrity? You look at a team like Portland; last year their starters were healthy most of the entire year. They win 54 – they hope to be able to have some internal improvement. They’ve added Chris Kaman and Stevie Blake. Can C.J. McCollum help them? Can they have a bench? To me, Memphis, all these teams, first of all, the success of every team as Jalen knows is all based upon health. So given every team stays healthy, to me it’s going to be interesting to see at the end of the day who comes out of the mix. ROSE: And also, me and Coach really love Dallas and we didn’t mention them. COLLINS: Yes, sir, absolutely, I’m glad you mentioned them. They’ve got a great coach. I like Tyson Chandler going there, Chandler Parsons. They’ve got depth. They’re going to be able to score the ball, but the big thing is can they defend well enough to win a championship. Every team, as great as their strengths are, every one of them is flawed. There’s not a team out there that doesn’t have a flaw. You say Spurs, the only flaw they would have is they’re older. Other than that, they play beautiful basketball. They’re locked in, they’ve got the corporate knowledge, they’ve never had a back to back champion. Can they do that? There’s so many things to talk about. ROSE: And also Houston with Harden and Dwight Howard, you add Trevor Ariza who I really like, can Terrence Jones become a guy that’s consistent as his career high nights. Q. I just want to get your impressions on Brad Stevens, his second season. What kind of coaching job do you think he did in his first season, and how do you manage a roster like I’m sure you did where everybody is about even, you’ve got one star but you’ve got, the rest of the guys have got chips on their shoulders, something to prove, maybe have underachieved in other places and it’s pretty even? How do you manage that? COLLINS: I think Brad is a terrific coach. The first thing, when you’re Brad Stevens, you’re walking in, you’re navigating basically an 80-game season, and you’re coming in. I mean, we saw what he did at Butler. That team was as well coached as any team that was in college basketball. He’s got a great feel for the game. He’s got a nice demeanor. He’s a terrific teacher. The hardest part is dealing with the losses. I mean, he’s never lost before. The guy has been to two Final Fours with Butler. So when you go in, and understand doing your job on a daily basis, and a lot of it was almost like a developmental league team, D League team, where your job is as much to try to get players better and create the assets of your team to put your team in a position to move forward as it is to focus in on how many games you can win. That’s tough because as a competitor, all you think about is winning that next game. I give him a lot of credit. Brett Brown had 63 losses last year. That’s tough to take to keep your energy up, the positive energy, to walk in practice every single day, to continue to teach, to do the things you do. I’m a big Brad Stevens fan. I think he did a wonderful job, and he’s going to be more comfortable this year because the second year going through it, you’ve got a better feel for the pacing of everything. Your practices, the days off, who needs extra work, who doesn’t. You know, I had a team in Philadelphia when I went there, probably Andre Iguodala on paper was our best player. He became an All-Star my second year there. Drew Holiday became an All-Star my third year there. But when I looked at our team, I thought we had strength in numbers, and I thought if we could get seven guys averaging in double figures and develop a bench, we had a chance to get a lot better, and we went from 27 wins to 41, a 14-game improvement, was the second most in the league. We got an identity of how we wanted to play, we defended, we didn’t turn the ball over. But the two keys for me were Lou Williams and Thaddeus Young. They were two of my five best players, and I went to them and I asked them if they would come off the bench for me to make us a better team. They would play crunch time minutes. Lou became the leading scorer for me. Thad was one of my best players. Lou was second in sixth man of the year, I think Thad was five. Our team grew and we got better. But it was because those players were willing to step up and play a role because they were two of my five best players and we got off to a 3-and-13 start that year, and for the guys to hang with it and for it to turn, it was a fun thing to watch. But when you’re losing every single night and you’re trying to build something, it’s hard because I don’t care what any coach says, you go home, and it eats at your stomach when you’re losing basketball games. I give Brad a lot, a lot of credit, and also I said, Brett Brown, to take those kind of losses, to start to build something for Philadelphia and Boston. I’ve got a lot of respect for both of those guys. Q. How do you feel about Sam’s approach toward rebuilding this franchise, especially the way you have kind of brought it up, especially the second year and the second round to see what’s happening now? How do you feel about his approach and the state of the franchise? COLLINS: Well, I think, first of all, obviously I miss being in Philadelphia. You know what that franchise means to me, so I always root for them. I want them to do great. It’s a little painful for me right now to be a former Sixer and see the losses and all. But the one thing I remember when I left, I talked to Josh Harris, the owner, and I said, Josh, regardless of what you’re going to do, stick with the plan. You can’t switch in mid-stream. If it gets painful, it’s going to be painful and you’re going to have to ride through it, and once you make the choice to do what you’re going to do and I felt they were going to do it, is to blow the team up and start all over again. This is what we’re going to do, this is how we’re going to do, we ask you to stick through the pain of what we’re doing. And you can see that Michael Carter-Williams last year was the Rookie of the Year. Hopefully he’s going to be healthy and come back. Nerlens Noel looks like he has a chance to be a high-energy activity defender, shock blocker, rebounder. I don’t know if he’s ever going to be a big time scorer, but a guy who could be a part of a really, really good team. Embiid, can he get healthy? The Shved kid who’s overseas, all the draft picks and everything. But there’s a lot of pain that goes with that, and that’s why I said I have a lot of respect for Brett Brown. He’s a tremendous coach. He walks in that gym every single day with great positive energy to teach that team. It’s interesting when you get older you hope you can shoot your age in golf. You don’t want to lose your age as a coach, and last year had I coached, it was 63 wins, that’s how old I am. I did not want to lose 63 games. At my age I just couldn’t go through that. Sam has got a plan. The most important thing is Josh, David Blitzer, and all the owners are on board, and they’ve made no bones about it with the city of Philadelphia, this is what we’re doing, stick with us. We think it’s going to work. Whether or not it does, I don’t think anybody knows, but that’s their plan. Q. Is there any scenario in which you could see Miami competing with Chicago and Cleveland in the East? COLLINS: I don’t see it unless there’s a major injury to one of those teams. I think I just look at Cleveland, I think they’re going to be one of the most dynamic offensive teams in the league. I said the first exhibition game they played, I think LeBron took seven shots, had two buckets, Kyrie didn’t play, and they had 122 points. So they’re going to be a team that can score the ball. I think the question is going to be for them as a champion. Can they become a top-10 defensive team? I think it’s going to be vital for Varejao and Tristan Thompson to stay healthy. They’re their two big guys that they’re going to ask to give them some size. They’re going to be a great rebounding team. And I think at the end of the day, LeBron has a chance to lead the league in assists, and I think once again, he’ll become a first league all defender, and so I think that they’re going to be awfully tough to beat. With Chicago, polar opposites. Right now a team that is built on their defense. Can their offense come up to snuff? Can Derrick Rose and Pau Gasol give them extra points at all and make the game a little easier for them to where they don’t have to grind out every game every single night? I’ve got a lot of respect for Miami. I just – when I look at their team, I say, you know what, there’s still a lot of questions with Norris Cole, Mario Chalmers being your point guard, still a lot of questions about how many games Dwyane Wade is going to be able to play at a high level because of the injury to his knee that he suffered, can Chris Bosh be back to that No. 1 option, Josh McRoberts and Luol Deng filling in, what kind of bench play they’re going to get. I know they’re going to be well prepared. I know they’re going to compete. I know they won’t beat themselves. I just don’t see them being in the class of those other two teams. Q. As a coach, what do you think about running an offense through Chris Bosh? Is that viable? COLLINS: Well, I mean, the thing about it is, I think when you look at their team, that’s the way they’re built now. It’s interesting to me because we played them in the playoffs the one year, and Bosh was a little bit more of an integral part of their offense. I thought that first year where they ran out of timeouts, they got him the ball at the elbows, they ran some isolations for him, they started games running plays for him, they got him the ball in the paint a little bit more, and I thought as time went on he became more of a home run hitter, where he was depending so much on that three, a little bit what you’ve seen with Kevin Love in the preseason in Cleveland. I think Jalen and I did a game the other night and 22 of his 45 shots, Love shot it in from the three point line. Chris Bosh is going to be a guy, you’re going to go back, throw the ball in the post to him. It’s sort of interesting, but you go back to one of his quotes last year in the playoffs, he said, I don’t play down in the post anymore; I don’t take all that pounding. Well, that’s where he’s going to be right now and we’ll have to see how he plays. Q. You touched on the Bulls and Derrick Rose a little bit. I just wanted to get more elaboration on what you think Pau Gasol and Nikola Mirotic add to the front court. Do you think that’s going to be enough to get past Cleveland, and do you think Rose can stay healthy for the whole year? COLLINS: Well, I sure hope that Derrick Rose can stay healthy because as a man who suffered injury, my heart aches when you see a great player, and I was never a Derrick Rose, an MVP, but I was a player who played at a pretty high level and loved to play. When the game was taken away from me, it was heartbreaking that I couldn’t play. I hope he can play. He’s taken a lot of grief from being hurt. Nobody wants to be hurt, and so for him to be back out there – I saw some great play from him in the preseason, and I think the question is going to be his building on the minutes. But his efficiency has been terrific. I think when you look at the Bulls, I don’t think people realize that you have a lot of the same pieces back, but they’re a very different team. To me when I see Pau Gasol out there playing as a center, and I see Joakim Noah playing as a power forward, his defensive role has changed. Last year he was the Defensive Player of the Year as a center. Now you’re going to see him playing at that four spot a lot when Pau is in there as a five. You’ll see him play as a five when he’s out there with Taj Gibson. But so much of what they did last year, their offense, they played through Joakim as an offensive player, not necessarily to score but to facilitate. Now he’s got to find his role in that offense now because the ball is either going to be in Derrick Rose’s hands or it’s going to be in Pau Gasol’s hands in the post. So that’s a little different. To me it’s going to be interesting at the end of the day who Tibs ends up settling on to be the starter. It looks like Dunleavy maybe to start the year, but that second unit has got to get an identity. I thought in the preseason they were very inconsistent. When you had McDermott out there, when you had him out there with Mirotic, two rookies; you had Aaron Brooks, who was a new guy; you had Taj out there; and you had Kirk Hinrich, so I thought they were struggling to find who they needed to be. I’d go on record and say I feel like at the end of the day, if somehow Doug McDermott can be a starter, I think he’s going to get better shots with that starting unit being out there with Pau Gasol and with Derrick Rose, and it’s not going to depend so much on Jimmy Butler having to make as many shots. And then I think Mike Dunleavy is a guy who has played off the bench in his career, and to me with him out there and Taj Gibson and Kirk and Aaron Brooks, you’ve got a little bit more of a veteran feel to it. I don’t know what kind of minutes Mirotic is going to get because I don’t know if Tibs can play four bigs, and we know there’s 96-minutes between Joakim Noah and Pau Gasol and Taj Gibson, and I think the interesting thing for Tibs is it’s going to be – last year, it was a given, the third quarter ended, Carlos Boozer put on his warm up, he ended the game with Joakim Noah and Taj Gibson. Now Pau Gasol wants to finish those games, too, so what’s it going to be? It might be from night to night he doesn’t always finish with the same two guys. I think that’s a dynamic that he has to figure out. With all this said and done and Chicago coming back, I think they have as much work to do as Cleveland in getting themselves together to where they want to be. Q. Quick question with regard to Coach Blatt in Cleveland. What are some of the challenges as a first-time head coach do you think that he’s got, and do you think that he’s up to the challenge? COLLINS: Well, first of all, I think he’s up to the challenge. This guy has been a success everywhere he’s been. He’s coached everywhere, and he’s taken the talent of his team and he’s played that kind of basketball. I know there was one team that he played, I can’t remember off of top of my head right now which one it was, but it was a team that they had to win with defense, and then he’s had some of the most dynamic offenses. So I think he’s a guy that knows both sides of the ball. I think to just say he’s a terrific offensive mind would be selling him short. I love his assistant coach; he’s got T [Tyronn] Lue in there, who played for me. I think LD, Larry Drew, is there with him, so he’s got a good group of guys. Jimmy Boylan I think is there. So he’s got a good group of guys who understand the NBA. To me it’s going to be managing people. Every word that comes out of Cleveland is going to be parsed. Miami was the most scrutinized team in the NBA when LeBron was there. They’re going to be the most scrutinized team in the NBA with him back in Cleveland. So to me it’s going to be just managing the media, dealing with the day to day, managing the personalities. He has all the other stuff. He has all the Xs and Os; he has all that stuff he needs, and I think he’s got the greatest sidekick you can have, a guy who’s locked arms with him, is LeBron. LeBron is going home, and LeBron knows that at the end of the day, whether they rise or fall, the pressure is on LeBron James. To me, it’s not on David Blatt. When LeBron went back to Cleveland, he said, I’m stepping up, all the pressure is on me, it’s not on Kyrie Irving, it’s not on Kevin Love, it’s not on anybody else. It’s on me coming back to help make sure this works. What I’m feeling from everything I’m reading and everything that he and David Blatt have gotten together, they have a wonderful working relationship. But Cleveland hasn’t had a bump in the road yet, and until they have that first adversity where anything happens where they’ve got to fight through it, we don’t know how they’re going to be. But I do know this: There’s no more pressure in Cleveland LeBron is going to have on him than what he faced down in Miami on an everyday basis for four years down there. The NBA returns to ESPN on Wednesday, October 29, for a doubleheader during NBA opening week. At 8 p.m. ET, the Chicago Bulls welcome Derrick Rose back to action as they visit the New York Knicks and Carmelo Anthony. At 10:30 p.m., the Oklahoma City Thunder and reigning NBA MVP Kevin Durant will visit the Portland Trail Blazers and Damian Lillard. The NBA’s opening week continues on Halloween – Friday, October 31 – as the Cleveland Cavaliers and LeBron James visit the Chicago Bulls and Derrick Rose at 8 p.m. In the nightcap, the Los Angeles Lakers and the returning Kobe Bryant host the Los Angeles Clippers and Chris Paul at 10:30 p.m. NBA Countdown will precede both games with special one-hour pre-game shows at 7 p.m.
All ESPN games will be available on computers, smartphones, tablets, Xbox, Fire TV and Apple TV via WatchESPN. ESPN Radio and ESPN Deportes will also have coverage throughout the season. In addition, the NBA Countdown pre-game show will generally preview ABC and ESPN games or doubleheaders 30 minutes prior to game time. ABC and ESPN will combine to televise three games on Christmas Day, Thursday, December 25, beginning at 12 p.m. ET on ESPN when the New York Knicks and Carmelo Anthony host the Washington Wizards and John Wall. ABC will then broadcast an NBA doubleheader: the defending NBA Champion San Antonio Spurs and Tony Parker host the Oklahoma City Thunder and Kevin Durant in a rematch of the 2014 Western Conference Finals at 2:30 p.m., followed by the Miami return of LeBron James as the Cleveland Cavaliers visit the Miami Heat and Dwyane Wade at 5 p.m.
v NBA Countdown pre-game show generally 30 minutes prior to every ABC game or doubleheader. v Kia NBA Countdown pre-game show generally 30 minutes prior to ESPN games or doubleheaders. Earlier today, ABC and ESPN NBA analysts Jeff Van Gundy and Mark Jackson discussed the start of the 2014 NBA Finals on a media conference call. ABC’s exclusive coverage of The Finals tips with Game One on Thursday, June 5, when the defending NBA Champion Miami Heat visit the San Antonio Spurs in a rematch of the 2013 Finals at 9 p.m. ET. Van Gundy and Jackson will join Mike Breen – the voice of The Finals – reporter Doris Burke and officiating expert Steve Javie for commentary. NBA Countdown previews the game at 8:30 p.m. on ABC. The Finals are also available on ESPN Radio, ESPN Deportes, ESPN3 and WatchABC. Additional details are available on ESPN MediaZone. Q. Could you have thought that the Heat could have gotten back here without contributions from their two new guys Michael Beasley and Greg Oden? As you know they’ve gotten very little from either during this run. JACKSON: I would say to that answer, yes, they certainly anticipated both of those guys playing some sort of role. But at the end of the day, they brought back the nucleus, and when you bring back the big three in James and Wade and Bosh, and you bring back the same mentality, and obviously some of the guys off the bench that have proven, that are champions. Erik Spoelstra has done an outstanding job. I would say, yes, because at the end of the day they’re built defensively, and they’re built with some special talent that puts them in position to, in spite of who they rotate as far as role players, be in the mix year in and year out. VAN GUNDY: I concur with Mark. I think there are a couple factors. I think we have to change the big three moniker to the big four because I think Spoelstra definitely belongs in there. They have four guys who could be going to the Hall of Fame as players, Ray Allen and Bosh and Wade and James. But Spoelstra is absolutely vital and instrumental to their success and he’s going to be there as well. You add to that the weakened state of the Eastern Conference. They really weren’t tested. Throw out the playoffs and so they’re here once again. You know, Beasley in particular I thought might find his way onto the court, but Rashard Lewis has given good minutes. At times Battier has given them good minutes, but he hasn’t been able to find his way consistently on the floor. Q. I was wondering if either of you have any interest in the Lakers head coaching position, and if they’ve reached out to you about it? VAN GUNDY: I found that it’s in everybody’s best interest never to comment on jobs. I don’t think it does the team any good or the individual coach. If teams ever want to state what their plans are before they’ve named a coach, that’s up to them, but I think it’s best that I don’t get involved with that. JACKSON: I totally agree. Obviously, it’s an incredible job, and I’m sure they’ll pick an outstanding coach to lead them forward. Q. Could you look into your crystal balls and speculate on what might happen if the Spurs either win or don’t win this or the same question with the Heat. How does the outcome impact how these things might be made up next year? JACKSON: I’m tired of looking in the crystal ball when it comes to the Spurs. Not just me, but we’ve all been wrong for quite a while now. We had them dead a couple years ago. We had them dead after The Finals last year. Truth be told, they’re going to be relevant and be around for the foreseeable future because they’re playing the right way, led by an incredible coach, an all-time great coach – not just in basketball but in sports in general – a bunch of Hall of Famers, and they just find ways to win ballgames. So they’ll be around. I think when you talk about the Heat, I think it depends on those guys and the decision they’re going to make after the season. When you talk about Pat Riley and that organization, when you talk about Erik Spoelstra, I’m sure they’re going to, whatever the decisions are by the players, find a way to regroup, come back, and be just as strong, if not stronger. VAN GUNDY: Yeah, I can’t envision going to four straight Finals and any of the better three players deciding that they’re better served someplace else. The Eastern Conference is definitely the place to be right now if you’re a great player because the road is just a lot easier to navigate. So I can’t see them willingly changing their path. And San Antonio, I think the Kawhi Leonard-George Hill trade got them back to where they are now. They’re a little small at that position. Now not only did they have the courage to make that trade, then they picked the right guy, and he has performed fantastically over his short career, and along with the depth they’ve added, and the great, great coaching, they’ve been able to surround their three best players with terrific players, and it’s going to be fun to watch. Q. I know the word legacy gets thrown around a lot. But how do you view a third championship for LeBron James on an historical plane if the Heat end up winning the series? VAN GUNDY: I think it would be a terrific accomplishment. Winning a championship is hard, being in The Finals is hard, but a lot about how much you win is who you play with and who you play against at any particular time in your career. So I don’t look at his career in Miami as being any more successful than his time in Cleveland. He’s just surrounded with better players, weaker conference. I think this guy is an all-time great. I think one of his greatest accomplishments is taking a very average to below-average Cleveland Cavaliers team to The Finals, I think, it was in 2007. I think he won 66 games with a starting lineup in Cleveland that I’m not sure would have won 36 games without him. So to me, both places have been ultra-successful. I don’t think a guy’s greatness is directly tied to his number of championships won because a lot of it comes down to circumstance. JACKSON: I totally agree. I look at LeBron James, and he’s an all-time great basketball player. I said it, and it’s documented that my opinion is he’s one of the best forwards that ever played the game. I really am not a guy to look and see championships to find your greatness. Because I, like Jeff, agree the fact is who you play with and who you play against. At the end of the day, the guy has played at an incredible level for a long time, and it does not seem the end is near anytime soon. Q. Mark, can you comprehend what Jason Kidd and maybe Derek Fisher is pondering going straight from a playing career to a coach? Would you have been able to do that a few years ago after you retired? And are you sure – are you convinced you want to coach again, or are you good where you’re at? What is your state right now, now that you’ve signed with ESPN? JACKSON: Well, I do look forward to coaching one day if it presents itself again. Right now I’m having a blast being back with my crew. I’m fortunate and thrilled to death to be back. If the opportunity presents itself, I look forward to coaching again. If I end my career the way it ended and I continue to call games, I’m fine with that, just to clear that up also. I’m having the time of my life calling these games and being back with this incredible group. To answer the first part of the question, I believe I would have been able to do it. Unfortunately, I did not have an opportunity. But as far as players today, obviously Jason Kidd had success and continued to get better. I think his future is extremely bright. So I believe that the point is picking the right person. So I believe you can do it and you can be successful. It’s important to make sure that you pick the right person. I don’t think just anybody can do it, but the right person can be successful. Q. Jeff, you’ve alluded to the weakened state of the Eastern Conference a couple times now. I’m curious if either of you think that might affect the Heat’s standing when you look at that team and what they’ve accomplished among some of the all-time greats? You know the Bulls dynasty very well. Where does the Heat as a team and what they’ve accomplished kind of rank with some of the all-time great teams? VAN GUNDY: I hate to compare because ultimately people will read into it that you’re diminishing one at the expense of the other. I would just say the Bulls teams back in their heyday had to go through some monster teams to win it all, some really incredible teams. I think it’s hard to compare teams from different eras. But to me, Jordan’s Bulls could compete against any of the great teams that were ever put up. I think they were that good, and they had to go through some great other teams to win those championships. JACKSON: For me watching Jordan’s Bulls, and obviously the Celtics with Bird and McHale and Parish, and those guys, D.J., watching Ainge and the great Showtime Lakers, those were incredible teams. I look at this Heat team, and I, like Jeff, don’t diminish what they’ve been able to do. Obviously, the competition is not the same as far as the teams that they’ve faced but you go through who you have to go through. They’ve done it; they’ve done it with class, and at an incredible level, so I don’t think it diminishes their accomplishments at all. Q. I saw a story on the website that refers to the 1994 NBA Finals 20 years ago as being sort of a forgotten Finals. I presume part of that is because of the O.J. Chase, and part of it may be because of other factors. Do you agree with that thinking that the Rockets Knicks series has been lost to history for circumstances that have nothing to do with basketball? VAN GUNDY: Well, for me, it’s not lost on me. I think about that, maybe not every day, but most days. I’ve talked about this to Mark a lot because, to me, you’ll never convince me that those Knicks teams from when Pat Riley came to when he left to go to Miami – even though they didn’t accomplish winning a championship – that the players there weren’t champions, because they gave championship energy and effort and enthusiasm every day. Unfortunately, they came up a few plays short. But when you’re talking about Olajuwon in his prime, he’s as great to me as anybody that’s ever played. Ewing didn’t match up a lot with Olajuwon in that series because we played him single coverage, and they doubled Ewing on every catch. But it was still having two great, great competitors, players, humble people going at each other in that series. I don’t remember anybody talking about O.J. in our locker room and those circumstances. I think the nation was captivated by that. I think the teams were locked in very much to that series. It was hard fought. Houston got home court. They beat us both times in the regular season, and that gave them the advantage to have home court, and they made a couple more plays than we did, and I’m not bitter. Q. Do you have any regrets about your stint with the Warriors? Jeff, how does it feel having Mark back in the booth with you guys? Obviously, it cuts into your time. JACKSON: Well, listen, there are no regrets. I think about the three years there. I think about the opportunity that was presented to me by the ownership, by management. I think about the relationship with incredible players and what they were able to accomplish in three years and where that organization was and where it is today – you got a lot to be proud of. Ownership, management, players, fans – it’s in a great place. There are absolutely no regrets. VAN GUNDY: Before I get to what you were asking me, I would say the unfortunate thing when change comes about whether it’s players or coaches in the NBA, is more focus is given to how things ended than what was accomplished during their time together. I think it speaks volumes that everybody wants to talk about how it ended between Mark and Golden State instead of taking a look at and examining Mark’s impact there in that he came into a team that, minus minor blips of success had been historically bad for two decades. And he came in there and remade them. Who would have thought Golden State would become an elite defensive team? Defense in this league is about coaching and the ability to protect the basket, and I was utterly amazed how quickly Mark transformed them from a porous defense into an elite defense, and taking them to 47, 51 wins. They hadn’t won 45-plus games in back-to-back years in forever. So my focus when I look at that is what was accomplished versus how it ended. Now, to get to your question about less air time, basketball fans in America are applauding the three-man booth so they don’t have to listen to my inane rants. And believe me, no one is upset, myself included, that I do less talking. Q. I know both of you have said that you don’t want to discuss any team’s interest in you or your interest in any job openings, and I definitely respect that. But I did want to ask you, there’s been a groundswell from a vocal segment of Knicks fans that Phil Jackson reach out to you guys for the Knicks coaching vacancy, I just wanted to know if you had gotten wind of that at all, and how you react to that? VAN GUNDY: When you spend 13 years with an organization like I did, which gave you your first chance of being in the NBA, your first chance of being with a championship-caliber team, and your first chance to be a head coach, you’ll always be a Knick. So there are a few box scores I check every morning right when I get up. It’s obviously wherever my brother is coaching, Chicago, Charlotte, Golden State, the Rockets and the Knicks. Those are my guys and those are my teams. I’m always going to have great, great feelings for the Knicks, hoping that they have great success and really appreciate whenever I am back in New York, how positive the fans were to me when I was just getting started. So I’ll always be so appreciative of how they treated me. JACKSON: Obviously, you hear the talk, even if it’s the New York Post reporting my inner circle made a statement, and I have no clue because my wife and kids have not spoken to the Post, so just to counter that. It’s an incredible job. It’s an incredible opportunity. And I’m sure that Phil Jackson will do an outstanding job of finding the right coach to get that organization and that team headed back in the right situation. Q. You guys mentioned some of those old Bulls teams. It’s been 30 years since that ’84 draft that Michael Jordan came in. Just wanted your thoughts and memories on facing him, and particularly at this time of year how good he could be. JACKSON: He’s the best I’ve ever faced, and he’s the best I’ve ever seen. Flat out, there were times when Jeff can recall he single handedly beat us with the Knicks when other guys were not ready at that particular time. He propelled them to be great and propelled them to championship level. Absolutely incredible, fierce competitor. Invited a winning spirit, and did everything on the floor to attempt to tear the heart out and put daggers into his opposition, and you can see the impact that he’s had not just in that time, but even in watching players after him, how they attempted to duplicate or put some of the things in their game that he had mastered. But those were great Bulls teams. Like I said, there are times when he single handedly put them in position to win it all. VAN GUNDY: Yeah, we used to kiddingly refer to as the triangle with the 23 in the triangle because that’s what made it run. I just went back and looked at his numbers. I think sometimes with great players you forget the longer they’re out how great they were. I mean, this guy played huge minutes with the Washington Wizards when he was 39, and averaged over 20 points a game. Played all 82 games, I think, when he was 38, averaged 22.6. Then the run he had with the Bulls, I mean, this is legendary stuff. But if you don’t take a peak back every once in a while, you can start to forget just how great he was. To me, his post-up game and the triangle, how he got into the post, out of the triangle, to me was the hardest part to guard. We didn’t have big two guards at that time in New York, but we did have big point guards. We had Mark, we had Doc Rivers, and we had Derek Harper. Starts with a great competitor, add the two, but we had no answer for him in the post. Defensively it wasn’t an every play mentality, but he had the ability, along with Pippen and Grant and Rodman to turn it up such that it was they could make it very difficult for you to find good shots. So Jordan to me, it’s like Mark said, I don’t like to compare eras because I didn’t see some of the guys play live. But with my own two eyes I loved going into Chicago Stadium, the old Chicago Stadium, because you came out of that tunnel three and a half or whatever it was, and you knew it was on. In a great atmosphere against the greatest to ever play during my time in the NBA. You know, it was an honor to be on the same floor. Q. It’s been mentioned the East is much weaker than the West this year. Do you think either team has an advantage? The Heat have had a fairly easy pass through the playoffs so far versus the Spurs who have been much more tested in the regular season and the playoffs. Do you think it gives either team an advantage? JACKSON: I think that’s a great question. I think the Spurs being battle tested this year certainly puts them in position. But I don’t look at it as just this year. I think both teams are prepared for this moment because of their history, not just the history of 82 games and a playoff round, but the history – playoffs, battle-tested, championship. So I don’t think it plays a role in who gets the advantage. Both teams are prepared, both teams are ready, both teams are extremely well coached, and I think it sets up for an outstanding NBA Finals. VAN GUNDY: I would agree. I think so much of it depends on Parker’s health. If he’s healthy, obviously, the Spurs have a great opportunity. If he’s hobbled, I think Miami has a better opportunity. I think both teams are missing some people who had a major impact on last year’s series. Gary Neal had some great moments for San Antonio. Mike Miller, obviously, had some great moments, had a great run for Miami. I think both teams are ready, like Mark said. I don’t think either team has an advantage in that way. I just think it’s going to be close, hard-fought, a tip of the ball here, a missed free throw there or an injury that crops up or doesn’t heal right could be the difference in who wins it. Q. Do you think the Heat will have a problem with the Spurs bench with the way Diaw and Ginobili have been playing in the playoffs this year? JACKSON: I believe that the Spurs bench creates match-up problems every single night the way that they’ve played all season long, the way that you cannot identify one guy that comes in and impacts a basketball game. They do a great job of understanding their roles, being prepared and playing within a system. I think the difference this year is Ginobili’s fresh body, the way he’s playing. Diaw is certainly playing at a high level. I think Patty Mills gives them a guy that can continue to play pick and roll off the bench, Belinelli’s ability to shoot the basketball. But I think the Heat also have guys that are playing at a high level coming in off the bench. It was amazing to watch Ray Allen this late in his career still playing with fresh, young legs and a live body. So I think it’s going to be a chess match as far as both benches in the level that they play. They very well could, when you talk about the benches, decide who wins this series. VAN GUNDY: I love how both teams are constructed. They surround their best players with shooting and passing so that their best players have enough room to operate. You look at San Antonio, the floor is spread and they may have weaknesses in some areas, but their guys can shoot and pass. Same with Miami coming off the bench. I love Norris Cole, his competitive streak. I love how Battier comes off and can hit timely threes. Ray Allen, Mark spoke about, one of the great shooters that’s ever played. You need to have a team that fits together well, and both teams played beautiful offense because they have Hall of Fame, first-option players surrounded by skilled, smart shooting at the other positions. I think that’s why this Finals is going to be absolutely beautiful basketball viewing for the fans. Q. I wondered if you guys thought LeBron James was a better player this season than he was last season? VAN GUNDY: I think you would actually have to coach him and watch every possession to really know that. I think he’s been great from probably his second year on in this league, and he’s had incremental, steady improvement. But at this date, I think it would be miniscule improvements and Erik Spoelstra would have to be the one to decide if he’s taken a dip in certain areas or he’s upgraded other areas. That would be hard for me to be perceptive enough to see. JACKSON: I totally agree with Jeff. He’s in rare air, and if you look at how great he’s been throughout the course of his career, to me it’s tough to say if he’s better this year than last year. I just know he’s still great and he’s still playing at a level that we’ve only seen a couple of people play at in the history of this game. Q. People always make a big deal with the idea of coaching in New York, and it takes a certain type of guy. You guys worked at other places too. And Steve Kerr came close to getting the job, a guy that got close to getting the job, a guy with no connection to New York other than Phil Jackson, and same thing with Derek Fisher. Do we make too much of it? Is it a little different in New York with all the demands, whether it’s from within the organization, with the media? VAN GUNDY: I don’t know if too much is made about it, but I do believe that New York, their fan base, the media coverage helps a coach coach his team well. I think there is a misnomer that New York demands someone famous. I mean, I just don’t believe that. I think they embrace – New York embraces, to me, everybody that works hard, competes, shows confidence in what they do and fights for their team, whether it’s player, coach, management person, owner, whatever it is. So I think this idea to be a star before you come in there to either play or coach is wrong. I think New York fans have a patience to allow someone to develop and get better. I’ve always thought that the thinking of them having to win right away, and they wouldn’t undertake a rebuilding plan, New York fans – I’ve always disagreed with that as well. I think they’re bright and they understand where a team is at at any particular time. But they do want to see progress, and they want to see effort, and they want to see a combative spirit on the floor. If you do that, I think you’ll be appreciated. JACKSON: Obviously, Jeff can answer the question better from a head coaching aspect in New York City, but as a kid that grew up in New York City and with the Knicks, everybody’s not made for New York City, whether you’re in management, whether you’re playing, whether you’re coaching. I can remember as a kid watching very good to great players play other places, be traded to the Knicks and not be the same player, whereas some propelled when they got the opportunity to put on a Knicks uniform. It’s something about the fans. It’s something about the pressure. It’s something about the media. So to be quite honest, everybody is not built for it. It’s a different animal. It’s a different monster. It takes special personality and a person understanding the things that come into play to a tee. I thought, obviously I’m biased, but I thought Jeff did an incredible job juggling all of them during his time as head coach of the Knicks, but everybody’s not capable or qualified to do just that. Q. You had a nice debate going about the Greg Oden, Kevin Durant draft class, do you think we’ll see more of that during The Finals? And do you think you’ll fill in for Stephen A. Smith and Skip Bayless on First Take? VAN GUNDY: I can say that they broke the mold with those two guys, so there is no replacing those two. But I would say this. Mark and I agree on everything, basically, except what we don’t agree with which is about everything too. I think we even agreed on that, but got bogged down in semantics. I just, the idea that because everybody would have taken Oden first wouldn’t have made it the right selection. Durant from his physical, to his great career, hey, you make mistakes in the Draft, and Oklahoma City was the beneficiary of a mistake by Portland. You know, he’s proven out to be – I think he’s going to be one of the all-time, all-time greats. I’m not sure what we were arguing about, but I remember Mark was wrong. JACKSON: Well, I will say that Stephen A. and Skip do an outstanding job, and they’re enjoyable to watch, but they do have substitutes so I think it would be a great opportunity. What you see with Jeff and I, the thing I love about it is we don’t create the moment. Sitting there talking with a mic, you get the same thing if you sat with us at a restaurant. We’re going to grab different topics, we’re going to have different opinions, we’re going to honestly and respectfully agree or disagree, and it’s going to be entertaining. So the thing I love about it is I was raised in a household that way, and Jeff is like family to me, so it’s something I truly enjoy doing. I’m sure you’ll see – who knows what the topic will be, but you’ll certainly see plenty of that starting Game One. Q. How useful a motivation is it to the Spurs to look back 12 months ago to what happened in The Finals? As a coach, how would you channel that correctly to benefit the team? VAN GUNDY: I think too much is made about last year and the motivation it provides for this year. You don’t get to this point if you need some outside force to motivate you. I also think Duncan’s quote about they’re going to, I forget the exact words, but they’re going to do better and win this year, like that’s going to motivate LeBron James and Dwyane Wade like they were sitting there in the need of some motivation from the outside, external motivation. I don’t think you need to channel anything. I think both teams are ready. Both teams are great, great teams. I think the games and the script has yet to be written, but I think it’s going to be an interesting one. JACKSON: I believe your question was geared towards the Spurs, so that’s the way I’ll answer it. But I believe that you don’t get caught up in what happened yesterday, meaning last year in The Finals, if you’re the Spurs. They’ve already put together an incredible season post last year’s Finals experience. So, my mindset would be don’t get caught up in yesterday and lose sight of the now. The bottom line is they have an opportunity, and they are back in position to win a championship. That’s old news and let’s move forward. They’ve done an incredible job, and I think that’s been their mindset the entire season, and that’s why they’re in this position again. Q. What do you both feel are the main differences between last year’s Heat and Spurs teams and this year’s and what do you think will be different in the series? VAN GUNDY: I think Ginobili and Wade’s health are better, Parker’s health is not as good. Both are missing shooting that had an impact on the series. Neal for San Antonio, Miller for the Heat. And I think to me the Kawhi Leonard-LeBron James match-up becomes even more fascinating the second time around because we know where James is at. We don’t know where Leonard is going to reach. But when you look at his demeanor, his improving skillset, this guy has a chance to be very, very, very good. I love watching him compete against James. So that’s still to me the best part of this series. JACKSON: I agree with Jeff. I think the health of Wade and Ginobili will play a huge factor. They’re at a different place right now. I think the difference is the role players of San Antonio. They’ve enhanced, like I said earlier, difference is having a guy like Patty Mills who really was a third point guard last year, played a huge part and had a great year for them in his ability to play out of pick and rolls. Going and getting Belinelli, another guy that can stretch the floor and play out the pick and roll. Last year pretty much Ginobili was the impact player off the bench creating offense. This year it’s other guys, and they’ve got live weapons all around the floor. With the Heat, it’s just Wade is playing at a high-level right now, and it takes the pressure off of LeBron to pretty much carry them. I think that’s a huge difference. The Finals on ABC will begin Thursday, June 5, at 9 p.m. ET with Game One between the defending NBA Champion Miami Heat and the San Antonio Spurs in a rematch from the 2013 NBA Finals. Mike Breen – the voice of the NBA Finals – will provide play-by-play with analysts Jeff Van Gundy and Mark Jackson, reporter Doris Burke and officiating expert Steve Javie. The Finals on ABC is also available on ESPN Radio, ESPN Deportes, ESPN3 and WatchABC. pre-game and halftime locker room access. ESPN Radio – the exclusive national radio home of the NBA Finals in its 19th year of NBA postseason coverage – will nationally broadcast the NBA Finals with Kevin Calabro and analyst Hubie Brown. Additionally, Marc Kestecher and Jon Barry will serve as on-site studio host and analyst, respectively. ESPN Deportes, for the second straight year, will present exclusive Spanish-language coverage of the NBA Finals. The telecasts will feature the commentary of Alvaro Martin and the analysis of Coach Carlos Morales.The games will be followed by SportsCenter presenting comprehensive on-site coverage and reporting from Sebastian Martinez Christensen and Alejandro Montecchia, who will also serve as sideline reporters during the games. 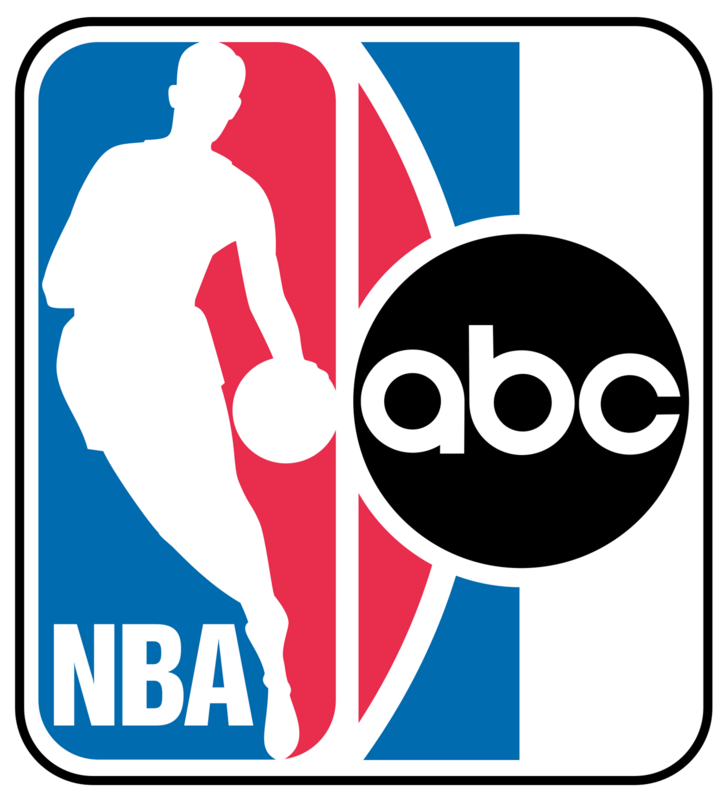 NBA Countdown – ABC’s NBA pre-game and halftime show – will be on site for 30-minute pre-game shows throughout the NBA Finals. Countdown will air at 8:30 p.m. preceding weeknight broadcasts and at 7:30 p.m. on Sundays. Sage Steele hosts NBA Countdown with analysts Jalen Rose, Bill Simmons and Doug Collins. SportsCenter on ESPN will provide comprehensive, on-site coverage throughout the NBA Finals, beginning on Monday, June 2. Reporters Chris Broussard and Mark Schwarz will provide daily coverage of the Miami Heat and the San Antonio Spurs, respectively. Additionally, Jay Harris will host daytime SportsCenter segments, beginning Wednesday, June 4, while Stuart Scott will host the evening SportsCenter segments. In addition, ESPN NBA analysts will be on site to provide commentary, including Tim Legler, Bruce Bowen, George Karl, P.J. Carlesimo and Avery Johnson. First Take – with host Cari Champion and commentators Stephen A. Smith and Skip Bayless – will be on site during The Finals with shows airing from 10 a.m. to 12 p.m. The First Take set will be located outside of the Hard Rock Café at the San Antonio Riverwalk. In Miami, the set will be located poolside at The Clevelander Hotel on South Beach. ESPN International will provide live NBA Finals coverage throughout Latin America, the Caribbean and Oceania. In addition, ESPN International will air Spanish-language pre-game shows throughout Latin America (except Brazil) during the NBA Finals.